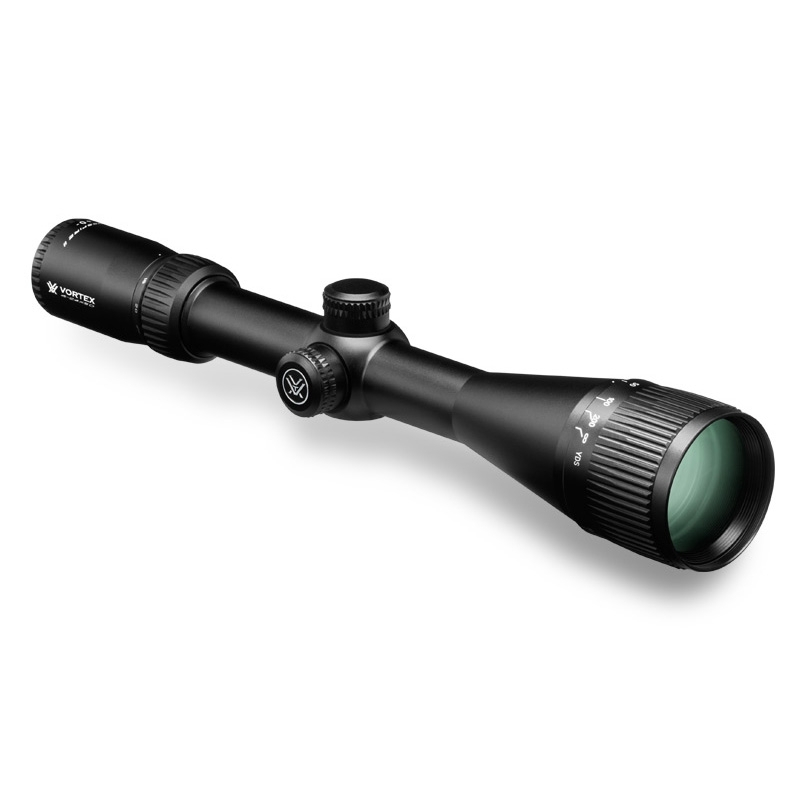 Vortex Crossfire II 4-16x50 AO Rifle Scope. With long eye relief, a fast-focus eyepiece, fully multi-coated lenses and resettable MOA turrets, there's no compromising on the Crossfire II. Clear, tough and bright, this riflescope hands other value-priced riflescopes their hat. The hard anodized single-piece aircraft-grade aluminium tube is nitrogen purged and o-ring sealed for waterproof/fogproof performance.